Welcome to Hellenic Link! 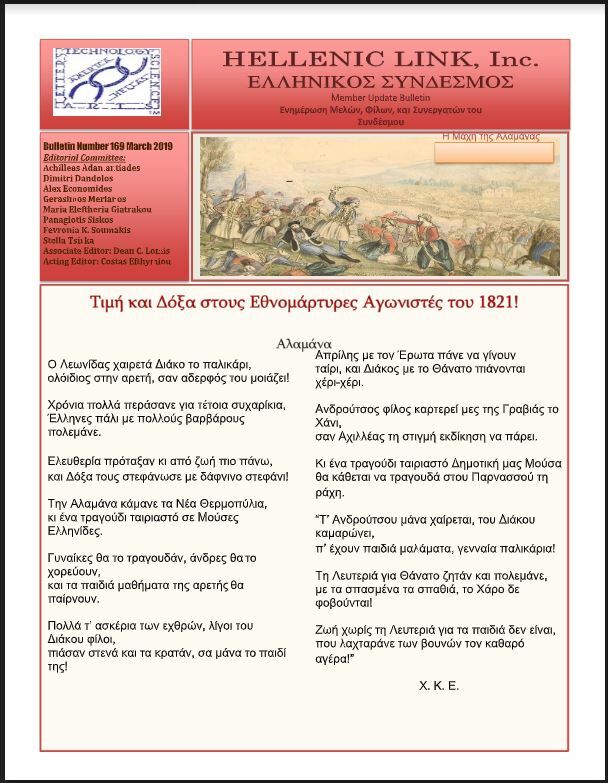 This is the website of an organization of men and women who are passionately involved in the preservation and promotion of Hellenic (Greek) heritage. Our interests range amongst all intellectual pursuits including the arts, science, technology, engineering, education, mathematics and the Greek Language – in other words, all of the civilizing pursuits of the human race since the Hellenic Golden Age. You are welcome to browse our pages, which include monthly bulletins since our inception decades ago. The column on the left provides access to past newsletters. The column on the right offers links to other resources. After exploring this site, we welcome you to become more active and engaged by communicating with us, perhaps even seeking membership. All are welcome. Read, engage, join, contribute. The knowledge and wisdom of 3,000 years await you.